Day 163—12 April 2012 Well. . . . 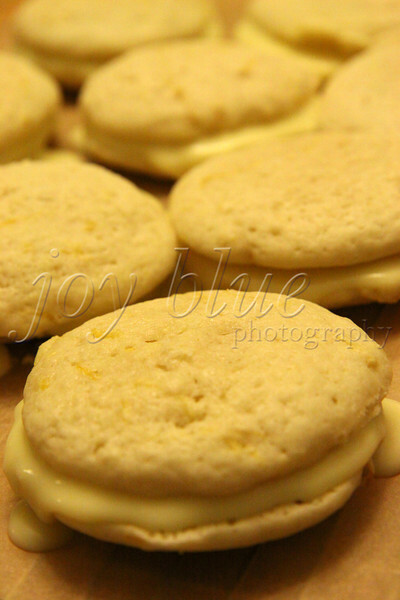 I can’t say that the lemon cream whoopie pies were an unqualified success. The cake part seems more cookie-like, and the filling was way too loose. I’ll be afraid to see what any of them look like tomorrow. I imagine that the filling will have soaked into the cake (not necessarily bad), and I may choose to add more filling (why did I have so much left over?). How did they taste? Not bad—maybe even pretty good. Next week will be the real test—I’ll finally make chocolate whoopies for NOS. Wish me luck(/skill)!